Are you an over-scheduled, always busy Mom (or Dad) on a budget? 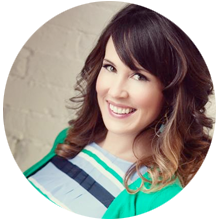 Are you looking for a not-so-secret weapon to make your life easier (even just a little bit)? Then allow me to roll out the welcome mat and invite you to Mason Jar Breakfast & More. Come on in; make yourself at home. Mason Jar Breakfast & More was made for on-the-go super parents just like you! Psst! 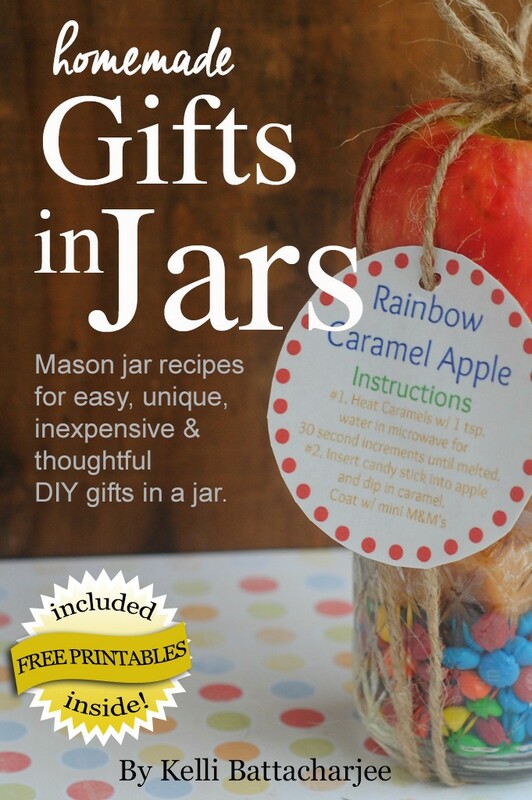 Get great edible and inedible homemade gift ideas with my eBook Homemade Gifts in Jars! By the way, don’t worry if you’re not the reincarnation of Julia Child or a wiz with a glue-gun, 99% of these Mason jar projects are easy enough for a child to tackle. Furthermore, they’re frugal and fun, so don’t be afraid to jump in with both feet! Oh, how rude of me, I didn’t even introduce myself… I’m Kelli. Or more frequently “Mom.” In addition to being the mother of a super rambunctious 4 year old (a.k.a the pickiest eater on the planet), I’m the main penny pincher 🙂 behind the frugal living blog Freebie Finding Mom and the aspiring DIY diva behind Mason Jar Breakfast & More. Not only am I a busy mom on a budget, I’m also passionate about DIY projects. DIY is a great way to save money, boost your confidence, get one-of-kind items, and spend time with the family. I’m especially fond of Mason jar projects because they tend to be easy and inexpensive. However, I may be a little biased because a love of Mason jars is in my blood. My family members have been using Mason jars for years to save money. My Grandma Florence would use Mason jars to can homegrown vegetables like green beans and tomatoes. She would also buy fresh fruit (like peaches) in bulk and can it for use later on. When my grandpa had cows on the farm, she would even use Mason jars to preserve butchered meat. Grandma’s hard work ensured the family had enough to eat throughout the year while helping them to stay on budget. That’s something I can definitely admire. I may not live on a farm, but I do have a family to feed and a budget to maintain, so like Grandma Florence, I’m turning to Mason jars! 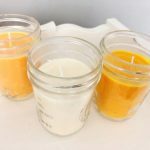 However, in addition to Grandma’s tried and true Mason jar recipes, I’m dishing up a heaping helping of modern day Mason jar projects for everything from candles to centerpieces. So, take a load off and stay a while!